HOCKEY: After the rainy weekend conditions, two experienced coaches offered their perspectives on battling the elements. Wests A-Grade men's coach Greg Walker was happy with his team's season opener against Easts despite the persistent rain on Friday night. 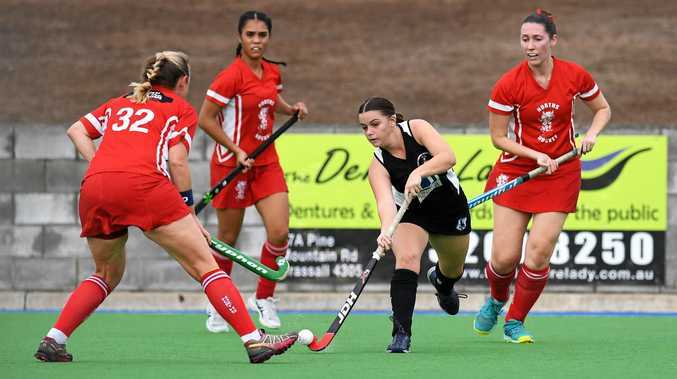 The Magpies were up 6-0 at the Ipswich Hockey Complex when the game was called off. "We got three quarters of it - 75 percent - and that was enough (to constitute a result),'' Walker said. Walker was especially pleased how strikers Caleb McCoombes, Matt Westphal and Tony Dakin combined up front scoring two goals each. Four were field goals and two came from corners. 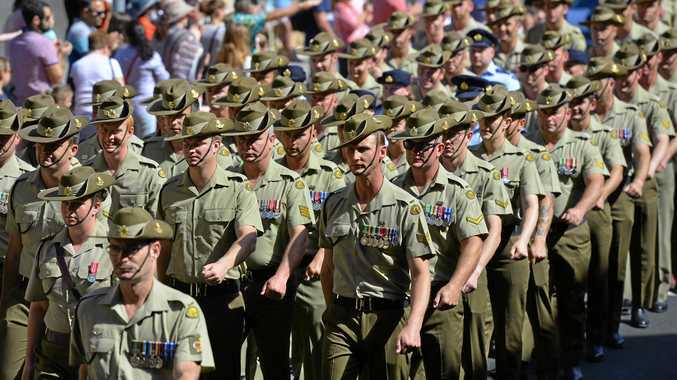 "They moved around quite well and the communication was unbelievable,'' Walker said. Hancocks A-Grade player Sara Rogers was just pleased to get through Sunday afternoon's match before the heavy rain forced the following A-Grade men's game to be washed out. "It was torrential. We had to come off a few times,'' said reflecting on Hancocks' season-opening 4-1 win over Norths. "We'll take the win but it wasn't much fun. "It was just getting through. You can't really read too much into a wet weather game. It changes the whole formation of the game really. Rogers scored one of her team's four goals on Sunday. Abby Eleison netted a double and Nat Davison also scored first up. "We hit the post about three times so we had a lot of the attacking play,'' Rogers said. Defending premiers Wests beat Swifts 3-2 in Saturday night's A-grade women's encounter in less wet conditions. Meanwhile, the Wests men expect a major test against defending premiers Hancocks this weekend with a number of Magpies players away for the Saturday night encounter. Hancocks men's coach Rogers said her team just want to get on the turf after the disappointment of being washed out first up. All E-Grade games were washed out, along with some higher grade matches. Teams in those games have the result recorded as a 0-0 draw, with each side receiving a point. A-Grade men: Wests 6 (C McCoombes 2, M Westphal 2, T Dakin 2) d Easts 0; Hancock Brothers v Norths washed out. A-Grade women: Wests 3 (A Kickbusch 2, A Nicholls) d. Swifts 2 (E Matherson); Hancock Brothers 4 (A Eleison 2, S Rogers, N Davison) d Norths 1 (J Chaplin).